Its the first try at doing this blogging mobile.. so forgive me - I am not sure what it will look like in the end. Happy Birthday to my big sister Lori! She doesn't like announcements like that. And she isn't one of those people who go to restaurants on their birthdays for all those people to sing to her at a table either... we managed it one time. The server could tell how embarrassed she was - and the proceeded to spoon feed her the dessert he brought out to her! This moment is forever in my mind!! This is the first time I am using the Apothecary Art. 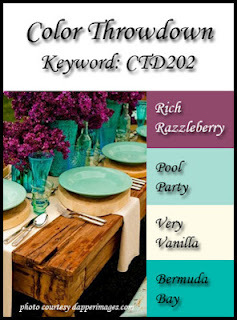 Its alittle different style for me - but I really like it with Rich Razzleberry and Pool Party. 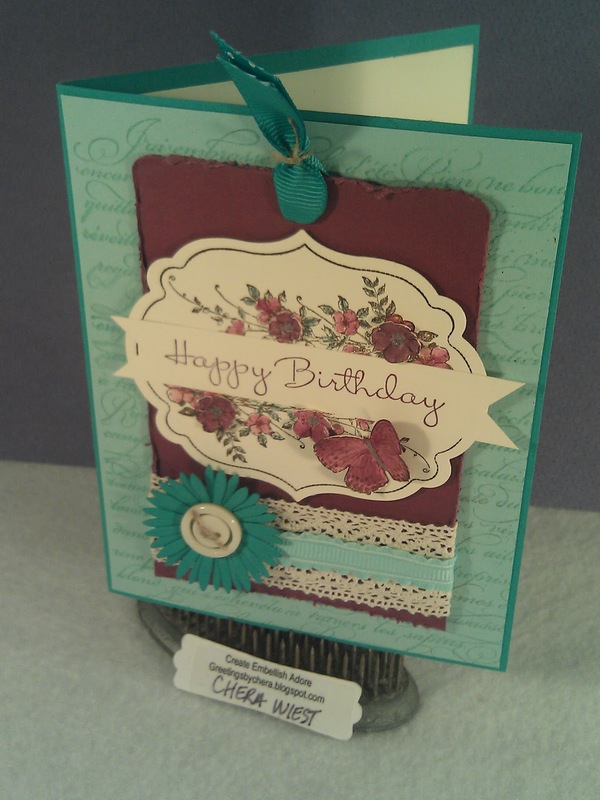 Making a tag on the card was alittle tricky for me since I am not one for this style but it seems to fit with the sketch I had . Of course, breaking out the Bermuda Bay was fun, since its retired but I keep it in my stash for my own little lovelies! 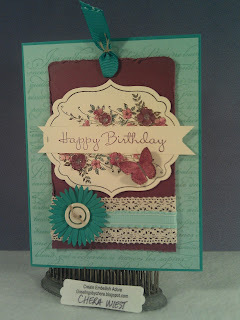 The butterfly I grabbed from Kindness Matters﻿, and cut out many of the flowers from the Apothecary Art stamp. Very pretty card! 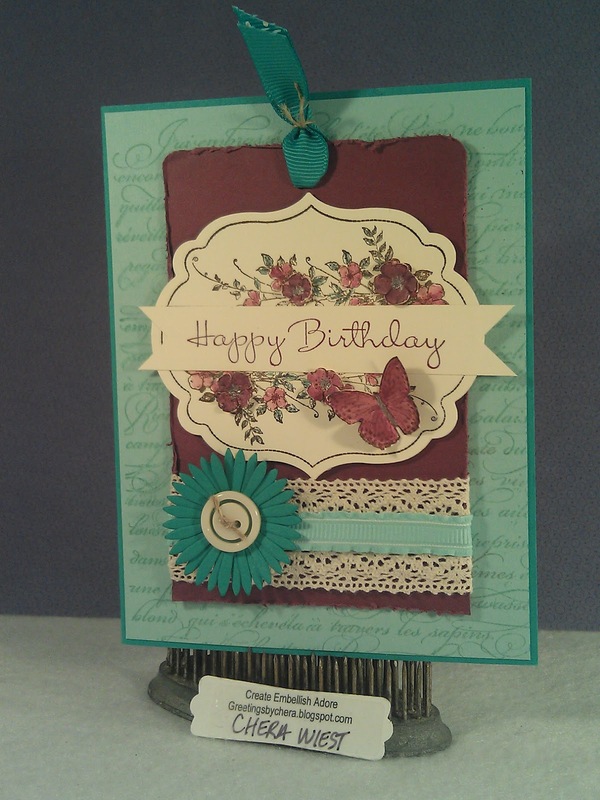 I love the color combination - would not have thought of this -- thanks! Fabulous color combo! Love all the special details. Thanks for the inspiration.